Fall Fun at Debony Salon! Conversations at Debony Salon are colored with many nuances this time of year. Some people are sad to see the warmth of summer go. Some are concerned about the light, and the shortening days. Some people feel the stress to wrap things up, and get chores done. Then there are others, who turn their eyes to the mountains and can not wait for the snow. They talk of crisp nights, and cool air; embracing the coming change. In any event, we all will experience seasonal transition in our own way. 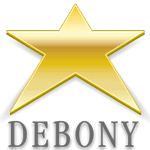 At Debony we love it because it means new opportunity for us to work with YOU to create new beautiful things and seasonally aproppraite looks! This month we will be focused on brightening your world with a transformation of your own! The following are six things you can do to fine tune your Autumn! Free Hand– This is a coloring technique used to create dimension in the hair. It has a very current look that allows the stylists a lot of artistic freedom. It is the perfect time of year to use this technique, as you can use it to keep that sun kissed look of summer while adding some richness and shine. Shadow Roots– This is a wonderful new technique that allows you to tone the beautiful shades of summer that live in your ends now, but take advantage of a darker root for depth that can even allow you to go longer between visits! Deposit Only Color Conditioning Treatment– This is a root to end color treatment that has no ammonia. Aveda packs this color with essential oils, and conditioning ingredients that bring hydration and shine to the hair. You can deepen your color, or add some red tones, or simply tone and hydrate thirsty blondes. Customized Conditioning Treatments– most of our customers are adding these treatments to every color service now, because they make such a big difference in the finished product of the hair. This is a great treatment for this time of year. Dry hair? Stressed, tired ends? Dry, itchy scalp? Let us customize a treatment for you, complete with a steam towel and a blow dry and you’ve got yourself a pampering service that won’t break the bank! Facials – We welcome Cassie Capone back for Fall, and that means customized facial treatments! Seasonal transition is rough on the skin. Cassie gives hands down THE MOST PAMPERING facial, but she doesn’t forget to address your concerns with your skin. This is a hot one and is booking fast. Jane Iredale– One word Jane. Redness? Dark circles? Hyperpigmentation? Skincare and makeup in one. Come in and enjoy a complimentary makeup application with one of our Jane Iredale experts. We guarantee to offer you tips and tricks to solve skin problems, or simply enhance your look! We want to see you! Book Your Autumn Services at Debony Salon Today! Look great coming out of summer into Fall. Simply own it. P.S. -This is me at one of our last races, and just like that, we say “goodbye” to summer! PreviousPrevious post:Beauty School 101 – Transformation Edition!NextNext post:L’ANZA and BIO IONIC GIVEAWAY!